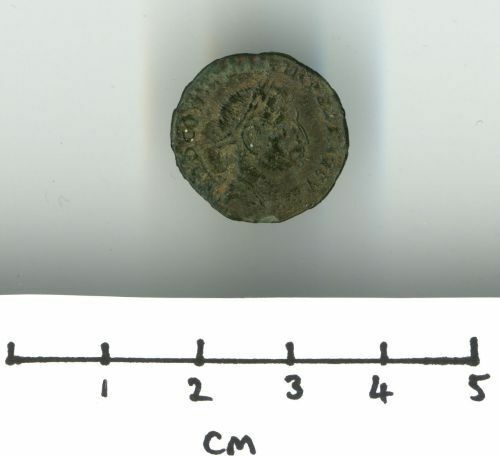 Roman copper-alloy nummus of Constantine I (AD 306-337) dating from the period AD 314-15 (Reece period 15). 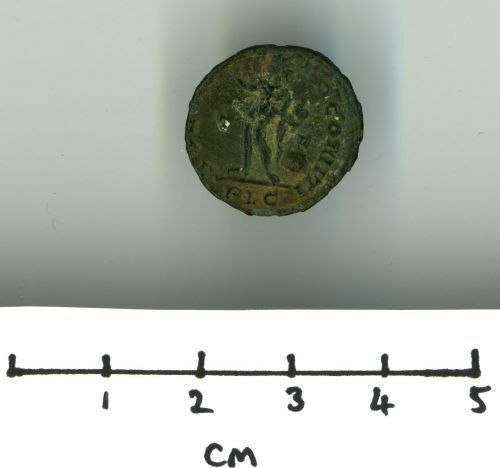 SOLI COMITI INVICTO reverse type depicting Sol standing left with globe. Mint of Lyons.